Few Canadians have motorcycling more deeply ingrained in the family blood than Jonathan Cornwell, affectionately known to friends and fans as Corndog, a.k.a. the Dogger. 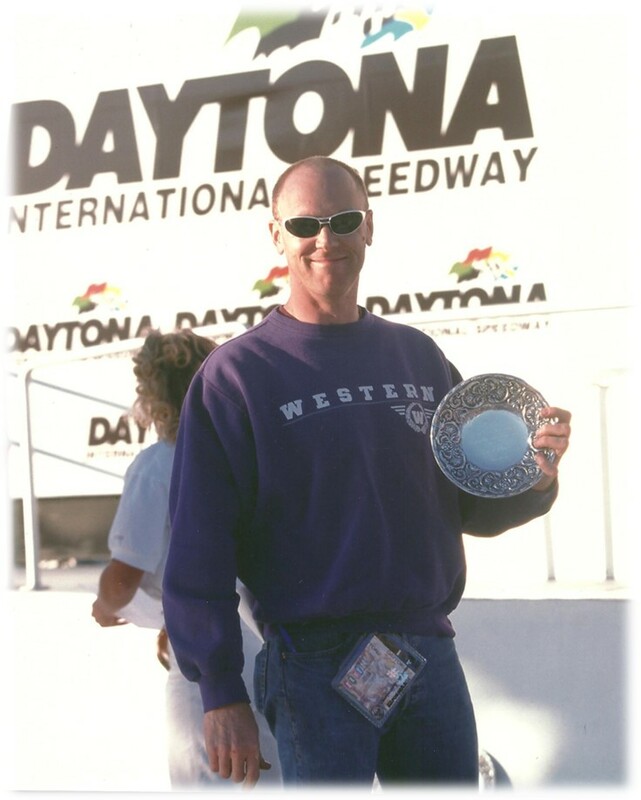 Jon has been involved in the sport in a multitude of ways for all of his life and has excelled in nearly all branches of motorcycle competition. His two-wheel experiences started at the age of six and more than 40 years later he still has a taste for speed. While just in his first year of school, young Jon found family approval of motorcycling wasn’t hard to come by. His grandfather had ridden British motorcycles on the road in the wake of the Second World War when decent cars of any description were hard to find. His machines also served as mounts for his growing sons, whether they were of legal age or not. The experience inspired Jon’s father Norm, who was a Queen’s University graduate in mechanical engineering, and he in turn encouraged his own young son with the gift of a Li’l Indian minibike. 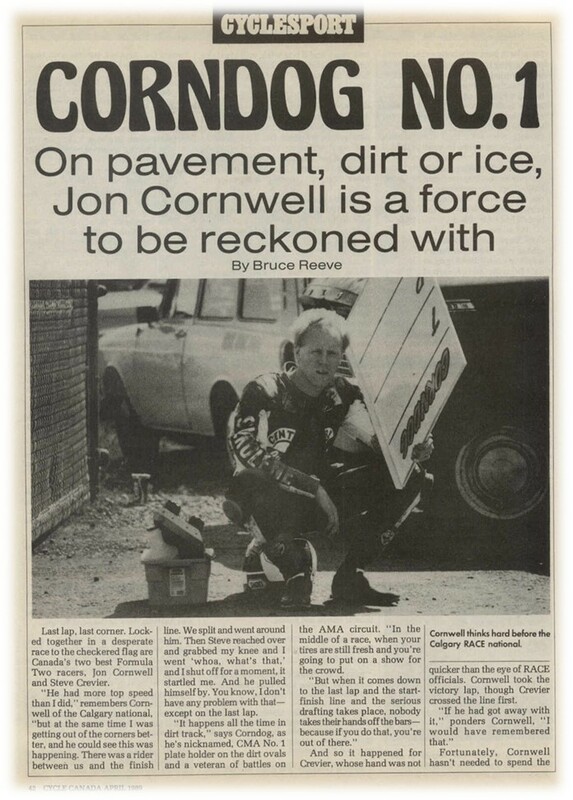 Norm Cornwell was becoming a noted tuner of race machines and he supported Jon by building a series of competition bikes suited to his stature. 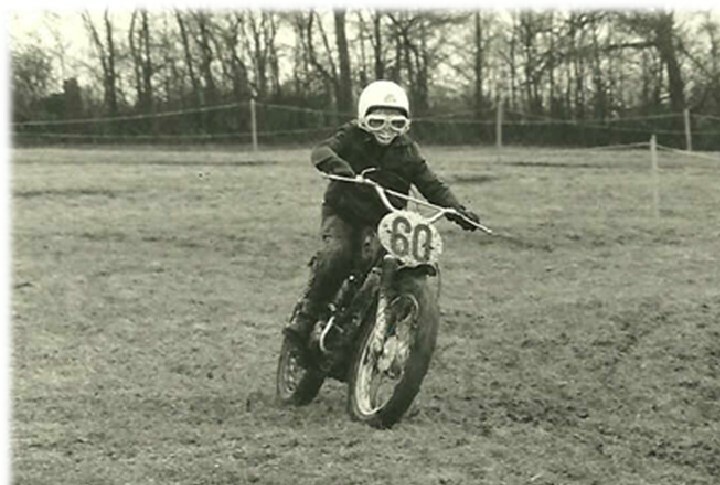 Norm died at far too early an age but with the support of his mother Betsy, Jon continued racing schoolboy motocross until he turned 14 and was eligible for adult competition. By that time he already had years of racing behind him, and he turned to dirt track and ice racing as well. 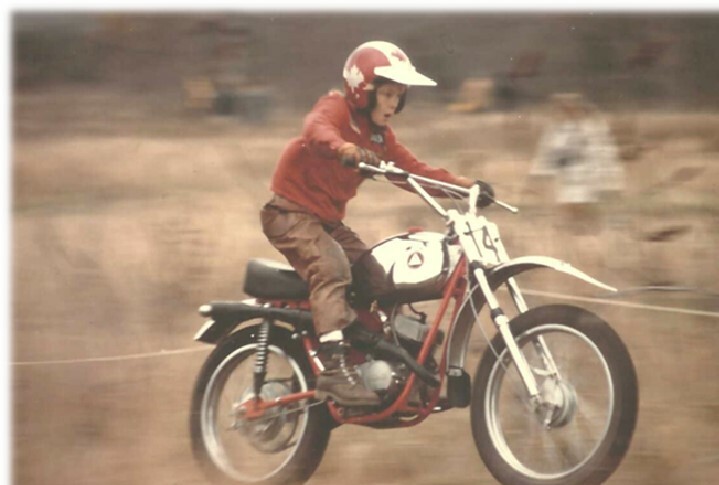 Within three years Jon held an expert licence in all three categories and by the time he was 19 he also was ranked expert in the tough world of American Motorcyclist Association dirt track. Jon won the Canadian Motorcycle Association No. 1 plate in 250 cc expert ice racing in 1979. Through the 1980s he accumulated a string of No. 1 plates and national championships in CMA short track and half-mile series ranging from 250 cc to 500, 600 and 750 cc expert classes. 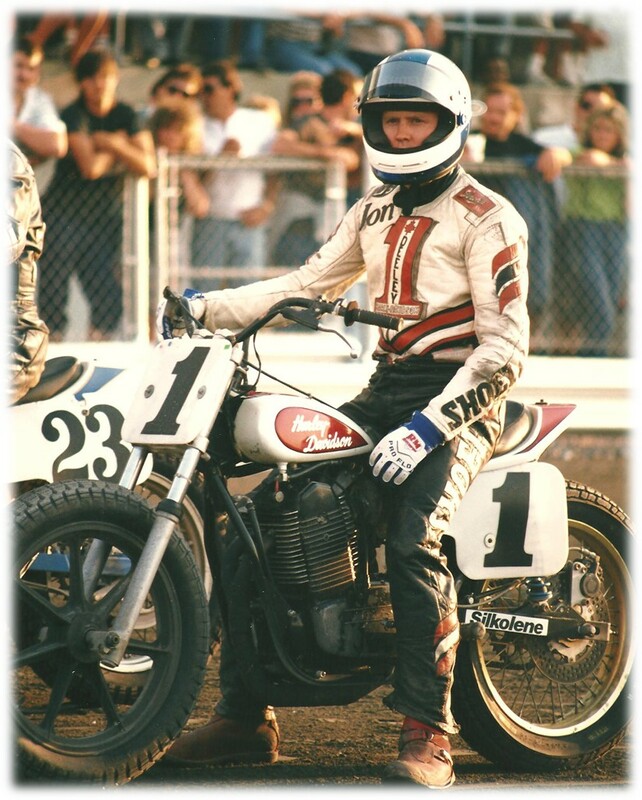 He remained competitive in AMA dirt track as well. Not shy about gaining new experiences, Corndog went overseas to ride two winters for a Swedish team in the intense world of spiked tire ice racing. These bare-bones machines sport lethal-looking spikes in their tires for traction and their cornering speeds and lean angles are limited only by the handlebars touching the ice. 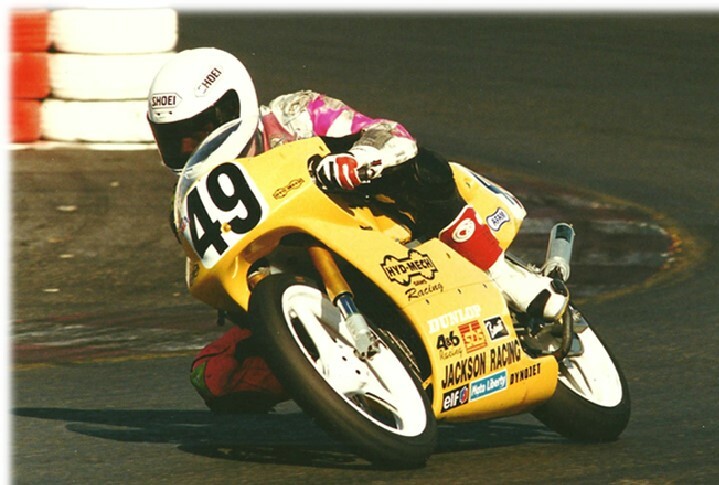 At the other extreme, Jon also took up road racing in Canada and the U.S., riding a 250 cc Spondon-Rotax to a Canadian No. 1 plate ahead of rival Steve Crevier in 1988. By 1990 he was focusing exclusively on road racing, and in 1991 he launched a shoestring effort to break into the world championship grands prix. He was accepted by organizers of two out of the four events he entered, but it became a moot point when privateers were eventually shut out of the GP world. He still found time to compete for fun in enduros, hare scrambles, trials, dirt tracks and even one International Six Days Enduro. In 1995 Corndog began a new career at age 34, working for the Swedish suspension manufacturer Ohlins as a World Superbike race technician. There he worked with riders at the highest levels, assisting Carl Fogarty, Troy Corser, Noriyuki Haga and Scott Russell among many others. Self-taught, independent and opinionated, Jon offered his advice to the best in the business and was not shy about telling even the fiercely competitive Fogarty at one time that he needed to ride harder. 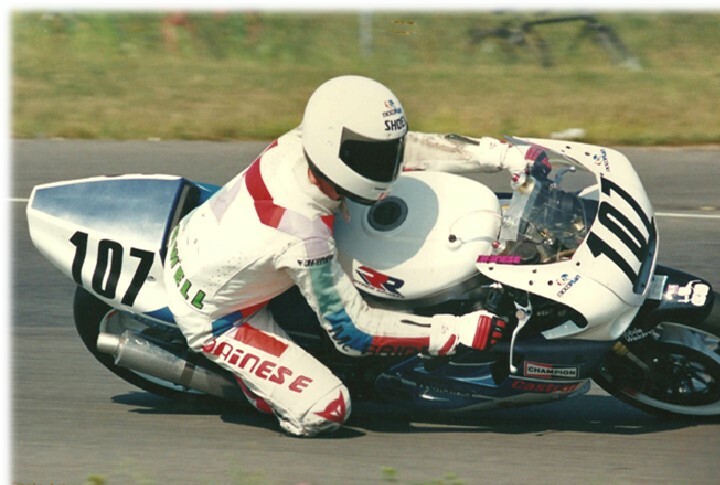 He spent 15 years with Ohlins, working as a test rider and travelling the world in a high-stress but prestigious career at the major race circuits. He finally left at the end of the 2010 season and now operates from his home in Erin, Ont., as a freelance suspension specialist. 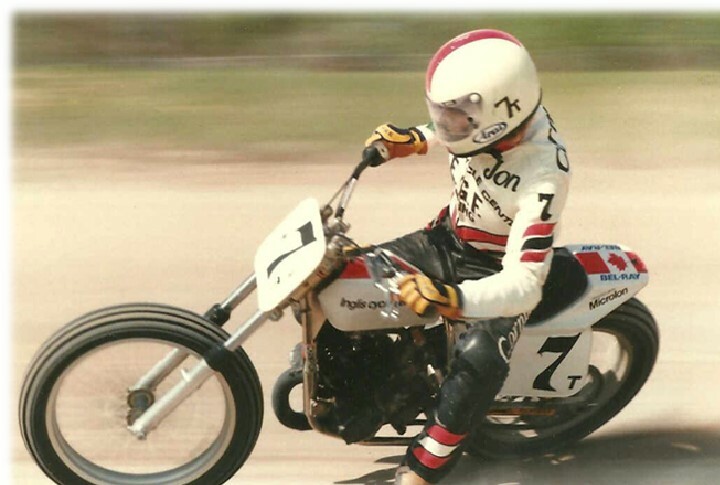 The racing urge still burns within him, and three years ago at age 47 the Dogger managed to qualify for the 750 cc expert main event at the blistering fast Indianapolis mile dirt track. It was top level racing among the best in the business and, though it ended on the ground after he tangled with another rider, Jon pronounced himself happy just to have been out there still doing it. Now Jon and his girlfriend Christine are embarked on a different adventure as parents to a baby daughter, Isabella who is just approaching her second birthday. Perhaps there’s a motorcycle in her future as well.